I am very proud to have worked for the Meaningful Chocolate Company in bringing their 2014 range to life. 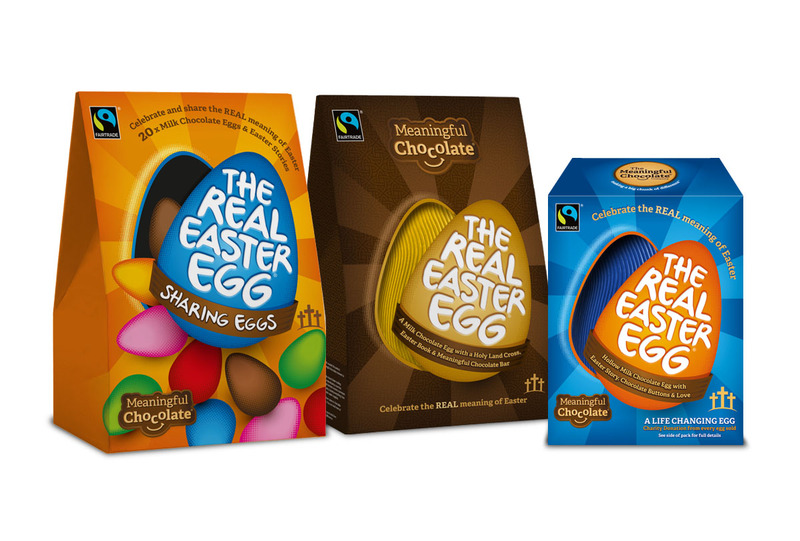 Out of the 80 million chocolate Easter eggs sold each year in the UK, The Real Easter Egg is the first and only Fairtrade chocolate Easter egg to explain the Christian understanding of Easter. They also give a sizeable donation from profits and Fairtrade Premium fees to the farmers allowing them to invest in their community, buying everything from school books and solar panels to providing fresh water. The Real Easter Egg is now in its fourth year of production with more than 400,000 sold so far.